David Foreman. A.k.a The Herbal Pharmacist, shifted from traditional pharmacist to herbal pharmacist because he realized the vital role natural medicine plays in all health outcomes. Did you know that stress and worry can sometimes be the result of unnecessary use of antidepressants? Pharmacist David Foreman explains that to reverse this vicious cycle, there are several herbal solutions (think your kitchen pantry, not medical marijuana) that can help to avoid the not-so-fun and potentially addictive side effects from prescription drugs. Foreman, a.k.a. The Herbal Pharmacist, was a pharmacist for 15 years before switching direction and heading down a more natural path. 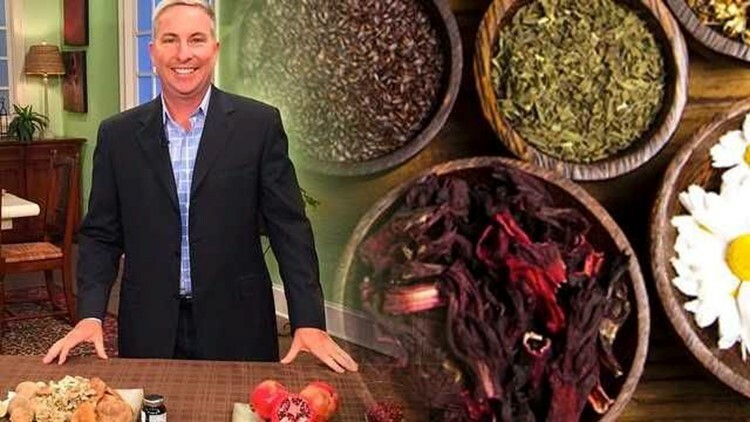 Foreman shifted from traditional pharmacist to herbal pharmacist because he realized the vital role natural medicine plays in all health outcomes, and his main focus is to use to educate on the benefits of herbs, vitamins, healthy lifestyle choices and the role they play in health. Herbal medicine has been around for thousands of years and humans have been using spices on their foods as far back as 50,000 B.C. Whether you’re suffering from a lifelong illness of stress and anxiety or simply going through a stressful period in your life, natural herbs can help, according to Foreman who adds that the medicinal properties of herbs, as well as their lack of serious side effects, have made them a good alternative to conventional drugs. Find out more about going herbal and herbal alternatives right here!